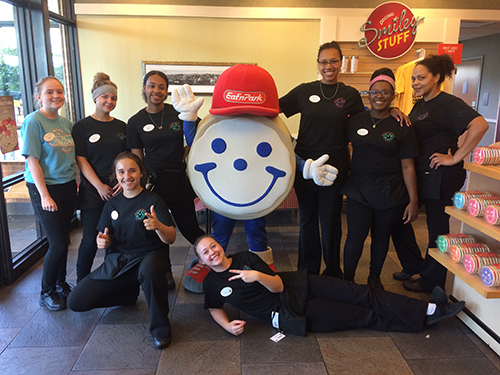 Smiley’s Road Trip is in full swing and the big cookie himself is well on his way to completing his mission to visit all 68 Eat’n Park restaurants! His summer has been jam packed full of his favorite things including photo ops, cookie decorating, and meeting his biggest fans! Whether you’re trekking across the nation this summer or driving to your local Eat’n Park, Smiley wanted us to share his list of his road trip essentials that he never leaves home without! Favorite pair of sunglasses: Smiley brings out his favorite pair of shades when he’s having fun in the sun! A stylish hat: Smiley’s favorite is his red baseball cap. A dozen Smiley Cookies: A sweet road trip snack! Most importantly: A big smile! To see where Smiley’s heading next, head to findsmiley.com! And don’t forget to download your Smiley Summer Road Trip passport here to help document the fun! 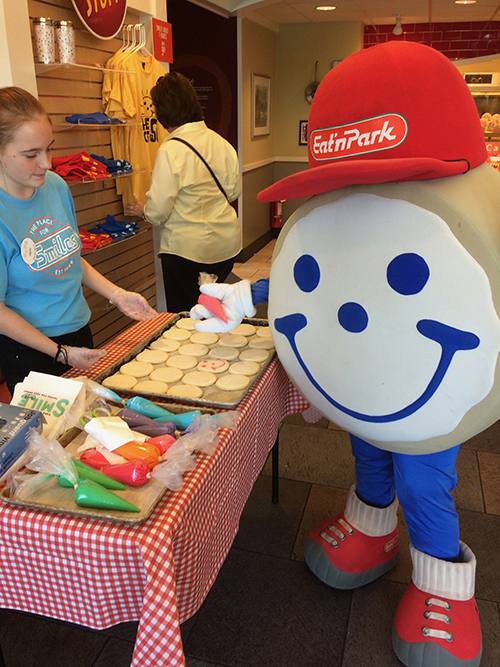 Remember, if you visit five Smiley’s Summer Road Trip stops and collect five stamps, you’ll receive a coupon for a free dozen Smiley® Cookies! You can also follow all of our adventures on Twitter and Instagram by following us @EnPTeamSmiley!